Royal Jordanian Airlines was founded in 1963 and is based in Amman, Jordan. Its primary hub is Queen Alia International Airport and the airline operates international scheduled flight services spanning across 4 continents, with over 350 flights per week. Royal Jordanian Airlines is a member of both the Arab Air Carriers Organization and the Oneworld global airline alliance. Royal Plus is Royal Jordanian Airlines' frequent flyer program its member lounge is known as CIP Lounge. The frequent flyer program offers passengers to be awarded with points depending on the type, class of flight and destination city. 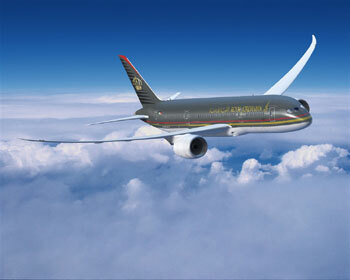 The airline has subsidiary flight companies such as Royal Jordanian Xpress and Royal Wings. 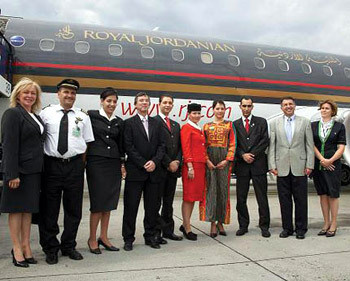 Royal Jordanian launched flight route services between Hong Kong and Amman. All its flights that depart for Amman from Hong Kong will be on Tuesdays, Thursdays and Saturdays. Time is 20:30 pm local HK time. Estimated time to arrive Amman will be at 04:00 local Jordan time. Check flight schedule, flight status directly from Royal Jordanian Airlines official website. You can also check on the cheapest airfare, flight schedule, flight status, airlines offices, contact number, airlines packages, air cargo partners, air ticket prices and booking procedure, international airfares, frequent flyer and other flight information and travel deals and packages. When you are making an airfare booking, select from either economy airfares, business class airfares or first class airfares whichever you prefer. Have a pleasant flight journey and enjoy your holidays or business trip!